While flamingos have been having a moment, a bird of another feather is swooping in - the swan. 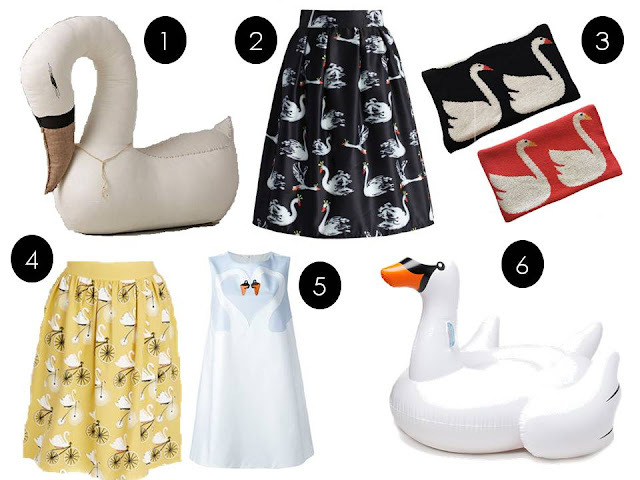 ModCloth Swan’s Riding Bicycles skirt (Yep. This is real life).